About 50 activists from various religions from the Rawadari Tehreek (Movement for tolerance) took part in the celebrations. 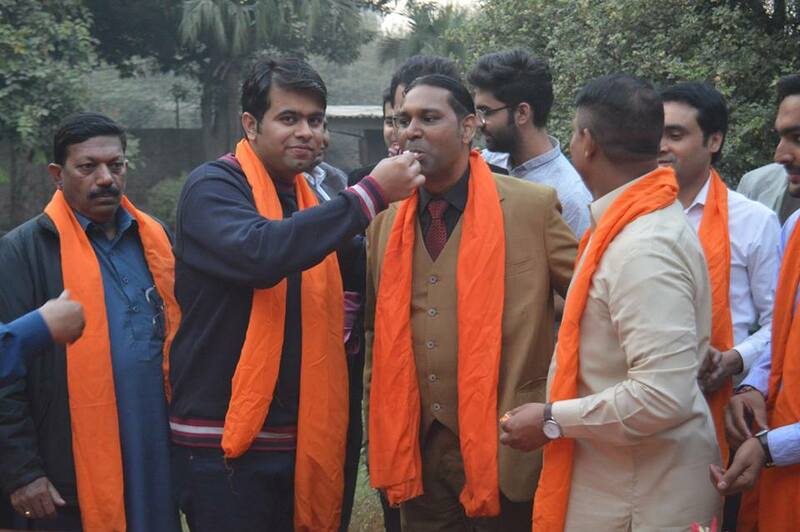 In Pakistan, a Muslim majority country, the Hindu celebration is also becoming a cultural event. This year’s edition was low key due to tensions over Islamist protests against Asia Bibi. 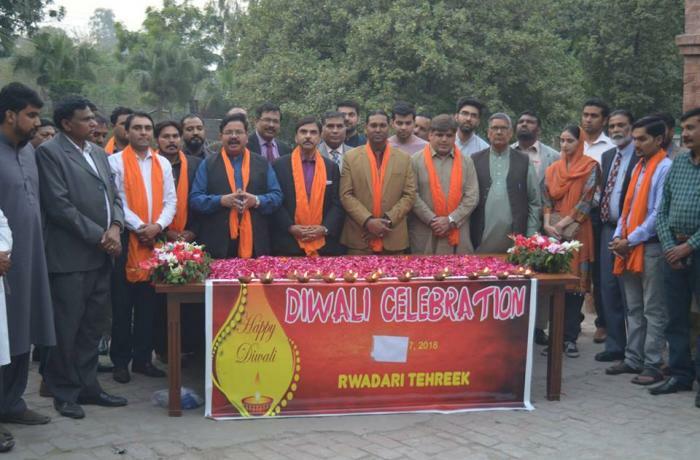 Lahore (AsiaNews) – The Rawadari Tehreek (Movement for tolerance) held an interfaith gathering yesterday evening on the occasion of Diwali, the Hindu festival of lights, at the Anglican Cathedral of the Praying Hands in Lahore. Some 50 Christian, Muslim and Hindu activists took part in the event (photos), around oil lamps, opened with a prayer recited by a pandit (Hindu priest). 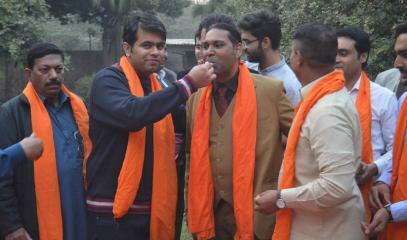 One of the participants was Aroon Kumar, a 24-year-old university student and resident in the capital of Punjab. The former coordinator of the Pakistani Hindu Council told AsiaNews that "the event is slowly becoming a cultural event in Pakistan, a country with an overwhelming Islamic majority". In light of the tensions in the country over Islamist protests against Asia Bibi’s acquittal, the young man suggests that "the city administration should sponsor this holiday," which “can help society strengthen the values ​​of the family". For Rawadari Tehreek chairman Samson Salamat, the interfaith event was deliberately kept low key. "We did not advertise it on social media because our hearts are sad,” he said. “In recent riots, people suffered serious losses." Speaking about the unrest cause by radicals, Salamat stressed that "what happened on the streets across Pakistan is contrary to the teachings of Islam. Someone is using religion to incite violence. The 'festival of lights' represents hope, as well as an opportunity to bring together people from all religions." According to the religious tradition, Diwali marks the return of Prince Rama to Ajodhya (Uttar Pradesh) after he defeated the demon Ravana and rescued his wife Sita. As the entered the city, they were greeted by thousands of lighted lamps. Rama represents the seventh manifestation (avatar) of the god Vishnu, the whole, and Sita is the incarnation of his wife Lakshmi. As one of the most important Hindu celebrations, Diwali also marks the beginning of a new year and family reconciliation. The Pontifical Council for Interreligious Dialogue issued a message for the occasion on behalf of the universal Church. In her best wishes for the event, the Church calls on Christians and Hindus to work together to defend the "most vulnerable" in society.